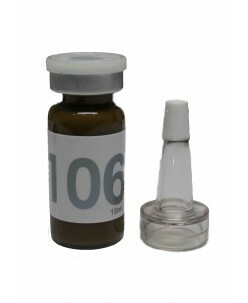 The newly formulated creamy Taupe pigment. ..
Pigments for permanent make up eyebrows make-up. Pigments suitable for all skin tones. Stable brown pigment, does not change the color to red. 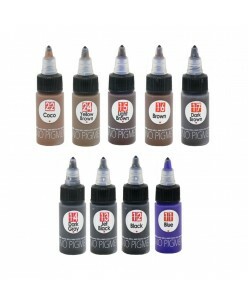 ..
Creamy black shade pigment.For eyebrows and eye permanent make up. 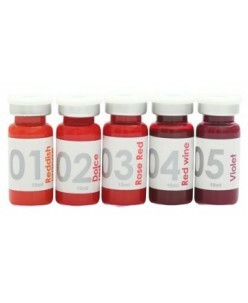 ..
Pigments for permanent make up lip make-up. Intense palette of shades give lips mysticism, freshness, charm and luxury feeling. Pigments suitable for all skin tones. .. The newly formulated cream dark shade of brown pigment. Designed for permanent make up eyebrows and eye make-up. Pale skin, use only the ERC-302 tone, neutral skin mix with the BPC-305 tone, and swarthy skin mix with the BPC-303 tone. ..
Creamy natural brown shade pigment.For pale skin: clients have black hair, mix with the BPC-305, and use the clients have brown hair shade (BPC-303). ..
Creamy golden brown shade pigment.For eyebrows and eye permanent make up. ..